Music Note Spinners – Make your music themed even come alive with this set of Music Note Spinners. 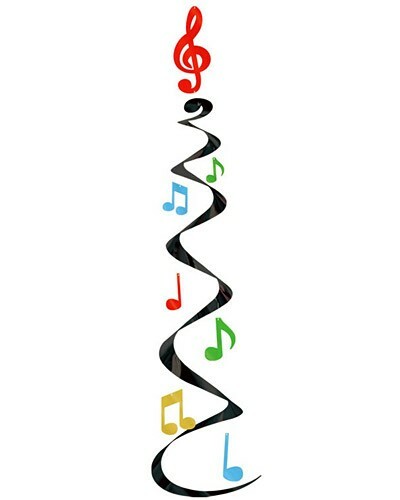 These colorful ceiling decorations hang down in a whirl of music notes with a streamer to create a unique party decoration. The music notes spinners are completely assembled and are easy to hang. Perfect for weddings, parties, birthdays, and other meaningful occasions! Made of metallic foil material and printed in color on both sides. Set of 3 Music Note Spinners. Approx 30″ L.